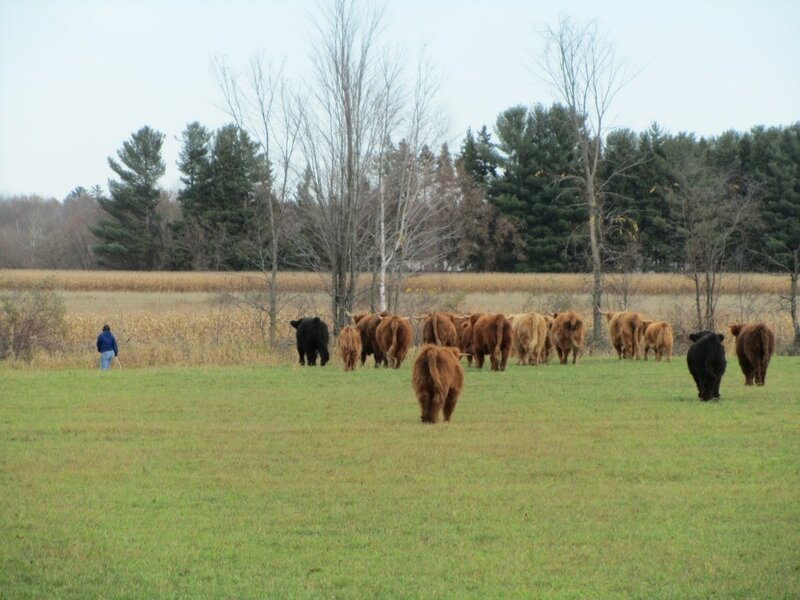 Windemere Farm is in central Wisconsin (near Stevens Point) and is home to about 30 head of Highland Cattle and the Proctor family – Anne, John, Paige and Nicholas. 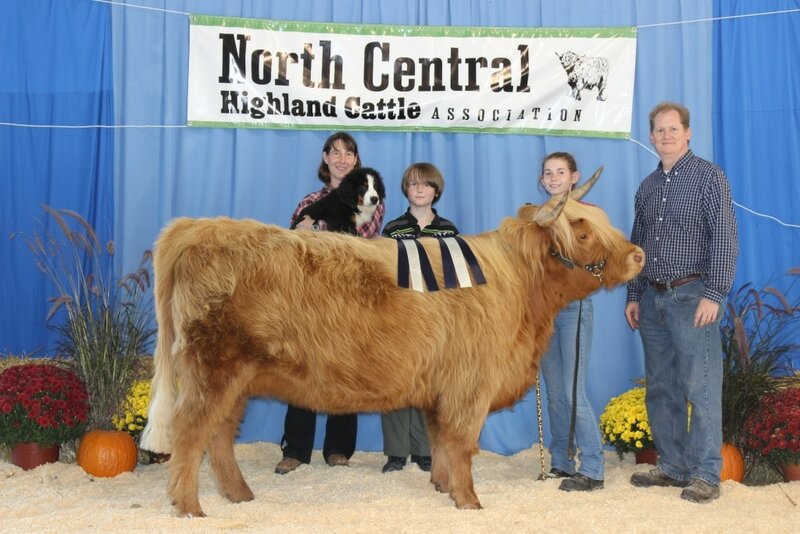 Anne grew up with Highlands and we started our own herd here in 2008. Our daughter has just welcomed the first calf out of her own heifer and we hope she will take Windemere Farm into its third generation. Our focus is in producing quality breeding stock and we breed almost exclusively by artificial insemination. Anne has a passion for genetics and likes the ability AI offers to select a bull that complements the cow and the ability to use genetics from the US, Canada and Scotland. As a result, the herd is made up of cattle with diverse bloodlines, though similar in type. We enjoy going to a few shows a year both to get an unbiased opinion on the quality of our cattle and to learn from other breeders. Our farm is small and we do rotational grazing in the summer and bale grazing in the winter. We built a handling system using a design from Temple Grandin with a custom built chute that works well with Highlands. If you want to learn more about nutrition (Anne’s a nutritionist by day) or AI, see a handling system that makes it easy to work with the cattle, or just spend a few hours talking about Highland, come see us! We love visitors and helping people start their own herds.